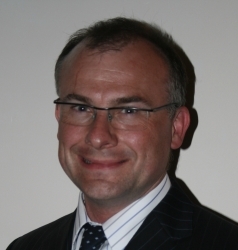 Dr Robert Glover has many years experience in dental implantology including bone grafting, sinus grafting and full mouth rehabilitations. He has placed over 2,500 implants. Having achieved an MSc in Implant Dentistry with distinction at the University of Warwick, Robert went on to gain the Diploma in Dental Conscious Sedation from Newcastle University. He has run a regional training centre for the Warwick University MSc implant dentistry course and is an approved mentor for the Association of Dental Implantology (UK). Dr Glover qualified from Newcastle University in 1992. At York Dental Implant Centre we offer a FREE ‘Am I suitable for dental implants’ consultation. This includes a meeting in a relaxed atmosphere with our implant advisor over coffee to go through dental implants with you stage by stage. This will also give you an insight to costs, times and our services. A clinical consultation, costing £95, is a comprehensive examination to include X-rays, bone level checks, oral cancer screening, smoking cessation (if necessary), periodontal (gum) assessment and provision of a fully costed written treatment plan. The practice has an endodontist, Dr Nitin Prasad, who provides the full range of endodontic procedures. We also offer both intravenous and inhalation sedation for all dental treatments if required. We accept referrals from general dental practitioners for all types of dental implant treatment. Referrals are accepted for complete treatment or surgical treatment only, allowing the GDP to restore, with or without supervision. The practice offers full training for referring practitioners either at the Dental Implant Centre or the dentist’s own clinic. York Dental Implant Centre is a dedicated private practice close to York city centre. The centre provides a friendly, individually tailored approach for both patients and referring dentists and maintains very high standards. York Dental Implant Centre is an approved regional training centre for the Warwick University MSc implant dentistry course.